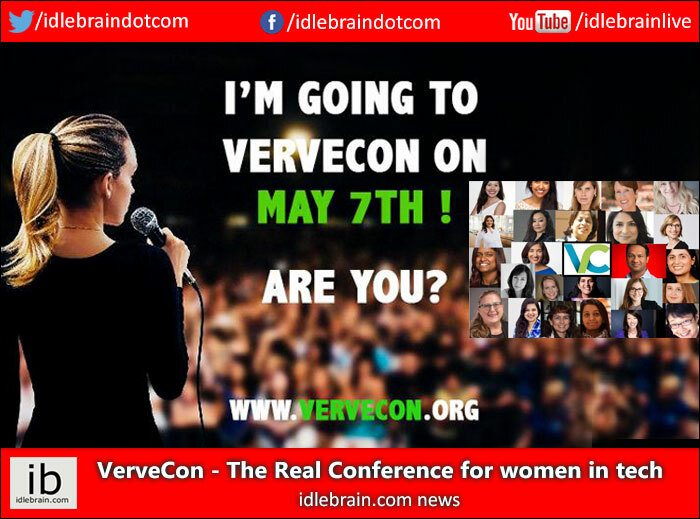 If you are a woman in tech, you don’t want to miss VerveCon 2019 Tech Conference, May 7th, 2019 at the Santa Clara Convention Center, California. 3. Interactive career talks that you will not find online. 4. Breakout sessions to interact with industry mentors. On spot suggestions and career advices. 5. Attending the only conference in Bay Area offering technical tracks and career talks on same stage. Invest in your career. You owe it to yourself! Register today! Use this special promo code: vc-idlebrain to get a super discount celebrating march as woman's international month. We are a team of women engineers NOT trying to change the world, but trying to redefine women’s journey in technology.We took it upon ourselves to try to understand why so few women participate in technical conferences. What we found out was shocking. Women rely on reading technical journals to update themselves about the latest technologies three times more often than attending a technical conference. Their reasons? 1. They felt unwelcomed at technical conference.  We heard terrible stories about uncomfortable experiences at sponsor booths and after parties. 2. They didn’t feel that they had the flexibility to travel. .Yes, there are some amazing tech conferences for women, but the aren’t in the heart of Silicon Valley, where so many tech women are! We want to change this with VerveCon, the “Convention for enthusiastic women in technology” in BayArea. Come to VerveCon and meet the leader in you! See you on May 7th, 2019!